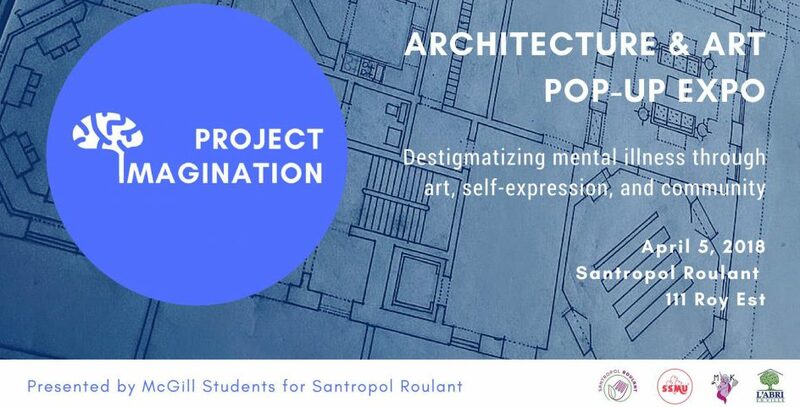 McGill Students for Santropol Roulant, a student club associated with the Roulant, will be holding a special event on Thursday April 5th, from 6:00-9:00pm, with the goal of destigmatizing mental illness through art, self-expression and community. This will be an art expo launch party celebrating the work and achievements of George Harris. 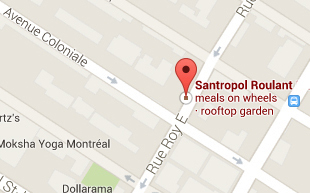 George is a Meals-on-Wheels client at Santropol Roulant who has had a rewarding career in architecture. With a Master’s degree in architecture from Yale University and experience working with high profile architects such as Peter Rose and Charles Moore in New York and California, George established himself in the industry. After being diagnosed with schizophrenia, George became unable to work. Despite this, he maintained his passion for architecture through his “imaginary projects.” Today, George lives with his roommates Rick and David in Montreal, where all three of them share a common struggle with mental health. Project Imagination provides a creative platform for George to showcase his talent for architecture while highlighting his story on mental illness. Your attendance at Project Imagination supports our initiative to destigmatize mental illness through art, self-expression, and community. To reserve your ticket, or to make a donation if you cannot attend, click here to access the Eventbrite page. To access the Facebook event, click here.